Let Us Make A Fair All-Cash Offer on Your Torrance House. Do you have a house in the Torrance Ca area that you need to sell fast? Are you facing some kind of problem situation with your property that is stressing you out? If yes, you have come to the right place. We buy houses in Torrance Ca. A common question you might be asking is “what is the best way to sell my house fast?” Should I use a real estate agent or try selling it myself? Selling your home the traditional way through a real estate agent can take months, even up to a year, if it sells all. It takes a lot of effort and significant expense to fix up a house and list it for sale. If you don’t have the time or the money to fix up your house, we can help. We are a local home buyer. 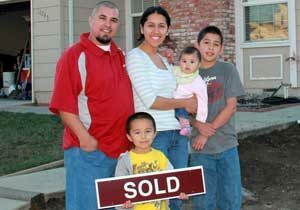 We Buy Houses in Torrance Ca in any condition in as little as 10 days and we buy in cash. 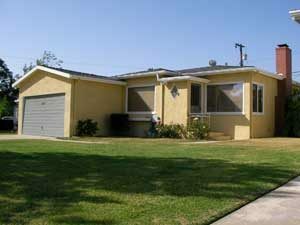 We buy houses in Torrance Ca like this one on Highcliff Ave. Get you fair CASH offer today! Step 1 – We will do a free evaluation of your situation. Just fill out the short form below or call us directly at (818) 392 4845. Step 2 – We will set up a quick appointment to view your house and present you with an offer that you can accept or reject. Step 3 – Close escrow in as soon as 10 days or longer depending on your timeline. Cash in your hand. Selling your house has never been so easy and hassle free. You are probably thinking of the different ways to sell your house and which one is best for you. There are basically three ways to sell your house. You can either 1) list it with an agent, 2) try to sell it yourself or 3) you can sell it to a cash buyer like solution home buyers. Which method is best for you really depends on how much Time, Money and Effort you have to spend. Let’s look at these a little closer. What is the timeframe in which you need to sell your house? Some people have all the time in the world to sell and others have to sell their house fast. If you need a fast sale, then listing with an agent or selling the house yourself is probably not for you. Listing with an agent or selling it yourself takes the most amount of time. Sometimes your house can sit on the market for months to a year waiting for your buyer, at your price. Selling to a cash buyer like us is the quickest way. You can close in as little as 10 days. This is a no brainer. You want to walk away with the most amount of money in your pocket. Many homeowners think by selling their property to a retail buyer using an agent, that they will make the most money but that is not always true (using an agent is not always the best choice). There are many costs like 6% agent commissions, 2% escrow fees, holding expenses while house sits on the market and repairs that the buyer will demand after inspection. When you add up all these costs, you might end up with less than selling to an all cash buyer. Sell your Torrance Ca home today! Solution Home Buyers works differently. We will provide you a fair all-cash offer on your house within 24 hours of submitting the short property info form below and you can tell us when you want to close. If the house is in bad shape and you don’t want to (or can’t) fix it up… NO problem, we’ll deal with it for you. We can close in as little as 2 weeks or on your timeline because we buy houses with cash and don’t have to rely on traditional bank financing. Our goal is to make your life easier and help you get out from under that property that’s stressing you out… while still paying a fast, fair, and honest AS-IS price for your Torrance home. Sell your home to Solution Home Buyers and skip the hassle of repairs, showings and months of uncertainty. We help property owners just like you, in all kinds of situations. From divorce, foreclosure, death of a family member, burdensome rental property, and all kinds of other situations. We buy houses in Torrance CA and throughout the Los Angeles area. Sometimes, those who own property simply have lives that are too busy to take the time to do all of things that typically need to be done to prepare a house to sell on the market… if that describes you, just let us know about the property you’d like to be rid of so you can sell your house fast in Torrance CA. If you prefer to talk to someone in our office before submitting your property information just give us a call today at (818) 392-4845. 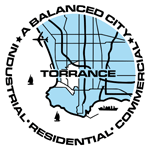 Since its incorporation in 1921, Torrance has grown to a 2013 estimated population of 147,000. This residential and light high-tech industries city has 90,000 street trees and 30 city parks. Known for its low crime rates, the city consistently ranks among the safest cities in Los Angeles County. Torrance is the birthplace of the American Youth Soccer Organization (AYSO). In addition, Torrance has the second-highest percentage of residents of Japanese ancestry in California (8.9%). Torrance was originally part of the Tongva Native American homeland for thousands of years. In 1784 the Spanish land grant for Rancho San Pedro, in the upper Las Californias Province of New Spain and encompassing present day Torrance, was issued to Juan Jose Dominguez by King Carlos III – the Spanish Empire. It was later divided in 1846 with Governor Pío Pico granting Rancho de los Palos Verdes to José Loreto and Juan Capistrano Sepulveda, in the Alta California territory of independent Mexico. In the early 1900s, real estate developer Jared Sidney Torrance and other investors saw the value of creating a mixed industrial-residential community south of Los Angeles. They purchased part of an old Spanish land grant and hired landscape architect Frederick Law Olmsted, Jr. to design a planned community. The resulting town was founded in October 1912 and named after Mr. Torrance. The city of Torrance was formally incorporated in May 1921, the townsite initially being bounded by Western Avenue on the east, Del Amo Boulevard on the north, Crenshaw Boulevard on the west, and on the south by Plaza Del Amo east of where it meets Carson Street, and by Carson Street west of where it meets Plaza Del Amo. We buy houses in Torrance, CA 90501 90502 90503 90504 90505 90506 and across Los Angeles County. If you need to sell your house fast in Torrance CA connect with us… we’d love to make you a fair no-obligation no-hassle offer. Take it or leave it. You’ve got nothing to lose.